Ceol Waves has created high-quality genuine celluloid picks for guitar, mandolin, banjo, or ukelele players. These medium gauge picks were created with serious musicians in mind, but are great for beginners too. In my experience of playing acoustic guitar, medium gauge picks are ideal because they're thick enough to be sturdy but they're also flexible enough to produce a nice, smooth sound when strumming. 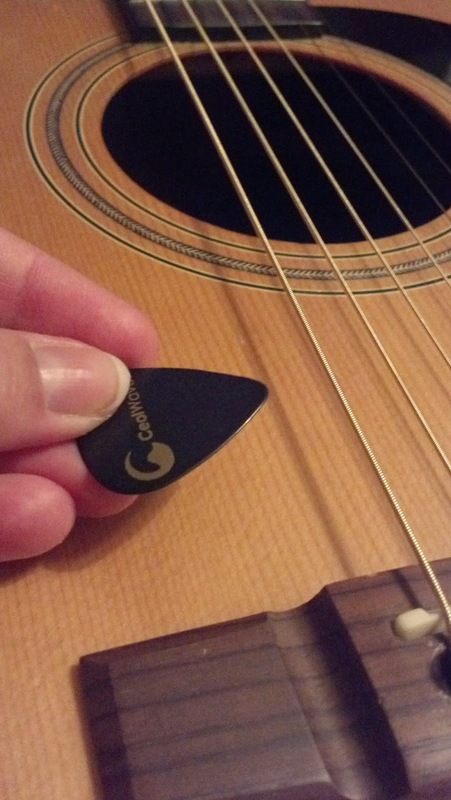 These picks by Ceol Waves are smooth, black, and feel really nice between my fingers. They produce a pleasing sound and are easy to get used to. I love how the edges are smooth, and the gold foil brand logo looks classy. They come in a pack of 10, which is really nice because I'm bound to have a couple go missing from time to time. Plus, they come in a soft velvet pouch which is handy for storage. I'm very pleased with these picks for playing acoustic guitar, but I also think they could work for bass and electric guitars too. 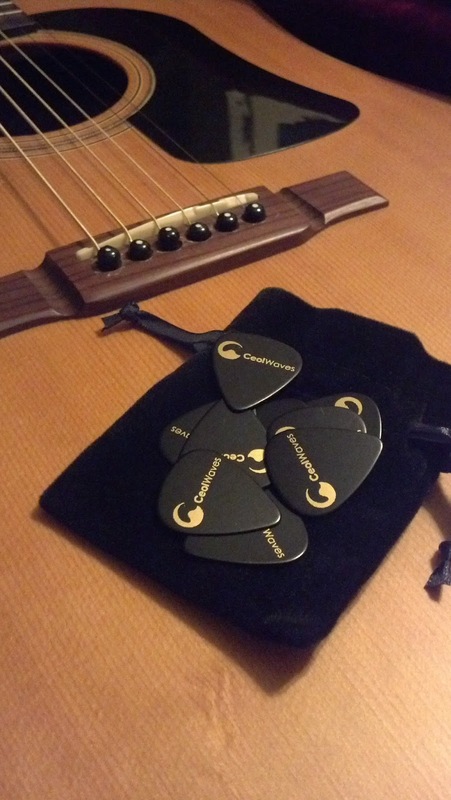 Overall, these Premium Celluloid Guitar Picks are sturdy, high-quality, and produce beautiful sound.